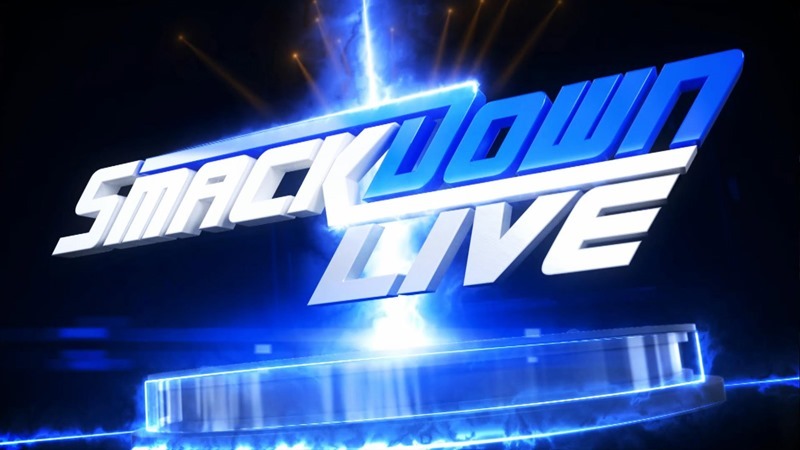 Smackdown took place this week at the SAP Center in San Jose, California. Here’s all the action that went down. New Intercontinental champion Dolph Ziggler was in the Smackdown ring, ready to talk about finally achieving victory and wearing gold once again. And yes, The Miz and Maryse did interrupt him because of course they did. Grabbing a mic, The Miz explained that he needed a moment to mourn the death of the IC championship now that Ziggler has it, setting up the first match for the night with his trash-talking: Dolph Ziggler versus the Spirit Squad. Yup! The first Smackdown match of the night featured Ziggler taking on former Spirit Squad teammates Kenny and Mikey while The Miz got up to various shenanigans at ringside. Ziggler was on fire however, countering any damage done to him with double DDTs and Stinger splashes. Countering a powerbomb attempt, Ziggler knocked out Kenny with a superkick and picked up another win. And then The Miz attacked with a Skull Crushing Finale and a beatdown, but Rhyno and Heath Slater rushed the ring to save the day. Shane McMahon and Daniel Bryan were discussing their plans for Survivor Series, proposing that Smackdown do battle with RAW in three traditional elimination matches: Five of their best male superstars, five of their best female superstars and their five best tag teams, Survivor Series is going to be huge. Earlier in the day Carmella attacked Nikki Bella backstage, and she wasn’t holding back against Naomi. Attacking her competition before the bell was even rung, the ref had to seperate the two to restore some semblance of order. With the Smackdown match officially started, Naomi dominated with kicks and a flying cross body off the top rope, but Carmella dodged a splash and took the lead. A ringside distraction from Nikki Bella allowed Naomi the space she needed to sneak in a quick pin on her vicious foe. Gable took the fight straight to Jimmy Uso from the moment the bell was rung, working the left arm of the heelish foe. Gable followed up with a twisting flying clothesline and a mid-rope T-bone suplex, but victory would not belong to Gable last night. Working his way out of an armbar, Jimmy got an assist from Jey when he pinned Gable, earning a Smackdown win. And he had something to say dammit! AJ went full heel on the crowd and then waxed lyrical about his No Mercy victory over Dean Ambrose and John Cena. But Styles was a champ for the people, and he announced that he’d be defending his title right away on Smackdown. Dean Ambrose then rocked up to do some trash-talking, but Styles told him to bugger off as he revealed the true contender for the WWE Championship…local jobber James Ellsworth. Oh, and it turned out that Ellsworth would be facing Styles in a non-championship match, as the champ had changed his mind. Ambrose was apparently keen to see this, as was Smackdown GM Daniel Bryan who announced that Ambrose would be the special guest referee for this match. And what a match it was. Styles of course managed to shave years off of the life of Ellsworth in the opening minutes, but shenanigans from Ambrose saw Ellsworth landing quick strikes and even a dirty pin. Getting out at two, Styles threw some more carnage at Ellsworth with backbreakers, clotheslines and suplexes, pinning the local talent. Except Ambrose was too busy taking a cellphone call to perform the three-count. Livid, Styles threw Ellsworth out of the ring and continued the assault, which forced Ambrose to start counting out Styles. Taking Ellsworth back in and then chucking him back out the ring, Ambrose decided to keep the poor jobber in the ring. So Styles hit a Styles Clash on him and went for the pin. Which Ambrose stopped counting at two, as he decided to hit his foe with a Dirty Deeds instead. With Styles out for the count after a second Dirty Deeds, Ambrose quickly placed Ellsworth on top of him and did a quick three-count. Your Smackdown winner, James Ellsworth. Wyatt and Harper cut a promo before the Smackdown main event began, and then it was time for some action! Orton took control after going back and forth with Harper, hitting a superb superplex off the top rope on the big man. Kane would continue the offense after being tagged in, but some interference from Wyatt saw the big red machine pulled outside and beaten down. Damaged, the two heels worked on Kane, but the demon managed to DDT Harper and get a hot tag to Orton. Continuing the action with clotheslines and a spinning powerslam on Wyatt, Orton took the fight outside of the ring and tossed Wyatt into the steel steps. Orton kept the offense up with his trademark mid-rope DDT, before looking to get rid of Harper. But Kane had other ideas, blocking him from the ring and allowing Wyatt to drop the Viper from behind with a Senton bomb. The lights mysteriously went out then, only to come back on with Harper standing in the spot where Kane was. And that was all the distraction that Bray Wyatt needed, as he ended Smackdown with a Sister Abigail finisher to Orton to secure the win.